Welcome to the newly formed Isaac & Lee website! For many of you this will be your first experience reading Isaac & Lee. For others, glad to see you’ve found this page. I’ve been writing and illustrating Isaac & Lee for the past six years now, all of it done on hard copy. 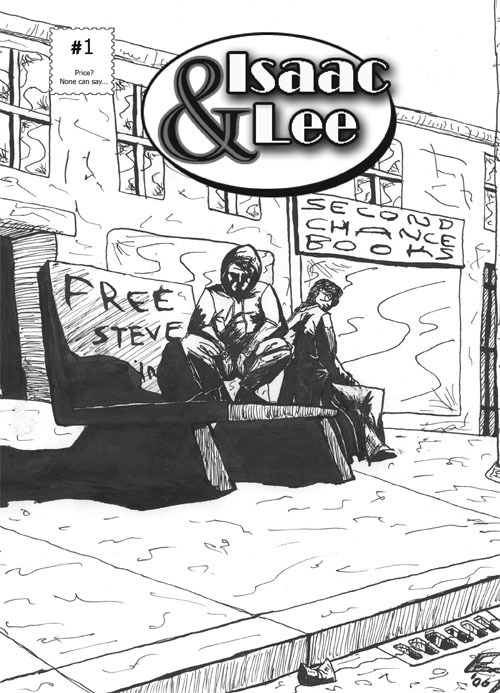 I’ve gotten to a point in the series now where I simply want to reach more people and I want to be able to share Isaac & Lee sooner than it takes for me to create the story, pencil, ink and then publish it. Which takes from anywhere between three months to a year. That just takes too long! For those of you who have already read my books some parts of this site will be a refresher, however I plan to not only post pages from the books as well as art, concept drawings, one off inspirational strips and commentary on the comics. Don’t forget to click on the store link to get Isaac & Lee books and merchandise!